As the world moves towards increasing sustainability and lower carbon emissions, it is becoming increasingly clear that the future is likely to be increasingly electrified. Adding a variable renewable energy generation mix and the loading of an electrified transportation fleet onto an already straining power grid will create unprecedented problems. A smart grid, infused with intelligence, communications and dynamic control capability, can provide a cost-effective approach to achieving this objective. This paper will present smart grid solutions that can help in achieving low overall carbon emissions with an electrified automotive fleet. Deepak DIVAN (Fellow ’98) is currently Professor in the School of Electrical and Computer Engineering and Founding Director of the Intelligent Power Infrastructure Consortium (IPIC) at Georgia Tech. 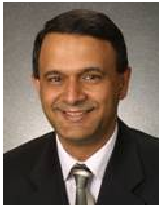 He is Founder, Chairman and Chief Innovation Officer for Innovolt, Inc, and is on the Board of Directors of Asian Electronics ltd, a company traded on the Mumbai Stock Exchange From 1995-2004, he was Chairman and CEO/CTO of Soft Switching Technologies, a company in the industrial power quality market. He is a Fellow of the IEEE and was the recipient of the 2006 IEEE William E Newell Award for contributions in power electronics. He is President of the IEEE Power Electronics Society for 2009 and 2010. He has over 200 papers and 28 issued and 4 pending patents. His research interests are in the application of power electronics for power quality, power reliability, utility and industrial applications.